Premari Notitia Linguae sinicae. Ex Apographo, Ipsius Premari manu emendato, quod In Bibliotheca Regia Parisiensi servatuo, Accurate descripsit Stanislaus Julien. [circa 1825]. Folio, modern full vellum binding by Aquarius, pp 466, [3 blank], title page with wet stamped monogram of sinologist Marquis d’Hervey de Saint-Denys (1822-1892), his manuscript collection label preserved on rear endpaper; manuscript in ink entirely in the hand of Stanislas Julien; in Latin and Chinese, the Chinese characters written from left to right; tear to second (blank) leaf, else exceptionally well preserved throughout; loosely enclosed is the dedication leaf removed from a copy of the first edition (Malacca : Anglo-Chinese College, 1831). One of only three manuscript copies of Prémare’s Notitia Linguae sinicae made prior to its first publication in 1831. 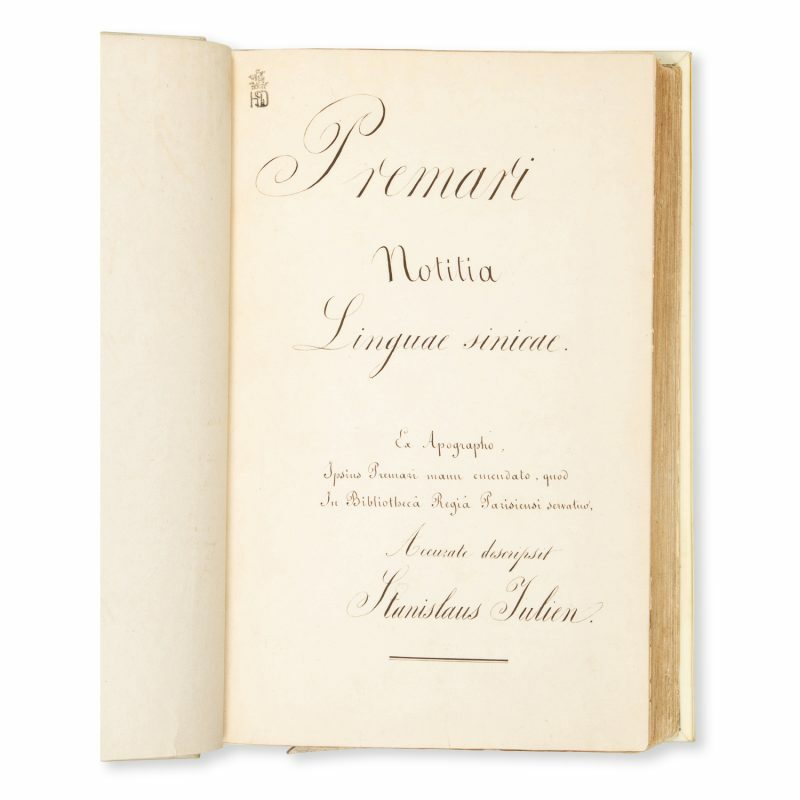 The original manuscript of Prémare’s Notitia Linguae sinicae entered the collection of the Bibliothèque Royale, Paris, in 1730. Almost a century later, a few years prior to its first publication, three manuscript copies of the original were made. Two of these were done by Stanislas Julien. The first of Julien’s copies was acquired by the missionary and sinologist Robert Morrison, President of the Anglo-Chinese College in Malacca. Morrison presented his copy to the College in 1826, and Prémare’s work was finally published at the College’s press in 1831, the printing having been funded by an anonymous patron honoured in the text of the dedication. The College’s manuscript later passed into the collection of missionary Alexander Wylie, of Shanghai. 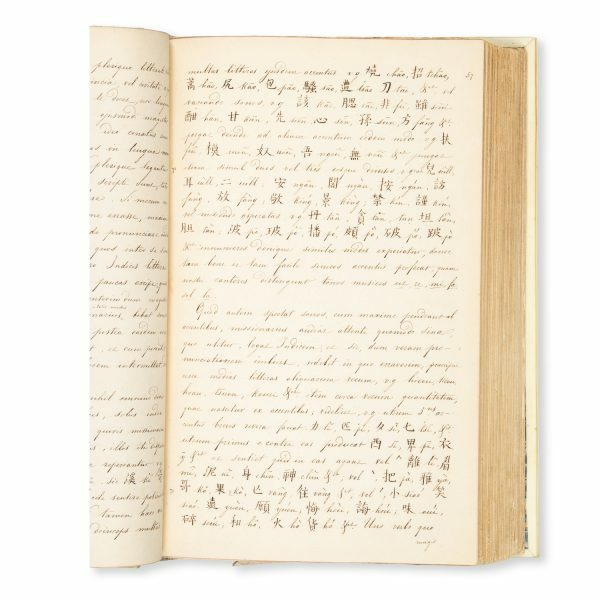 Julien’s second copy (offered here) entered the collection of the French sinologist Marquis d’Hervey de Saint-Denys (1822-1892). 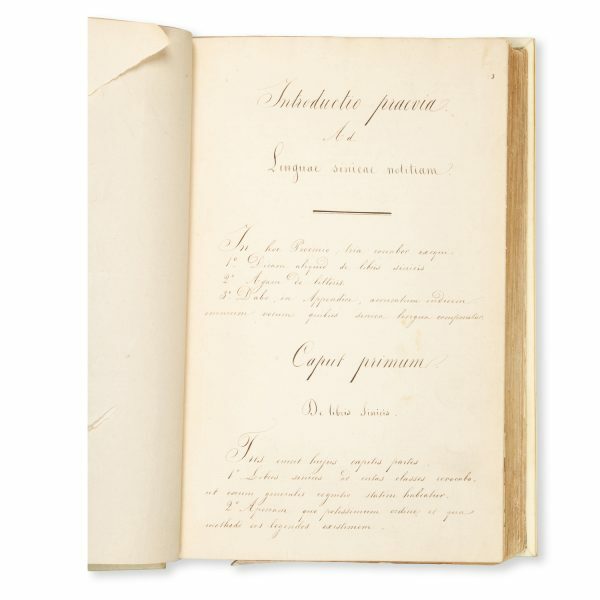 A third copy, made by Rémusat, was sold in the sale of Rémusat’s library in 1833 and entered the collection of Léon de Rosny. 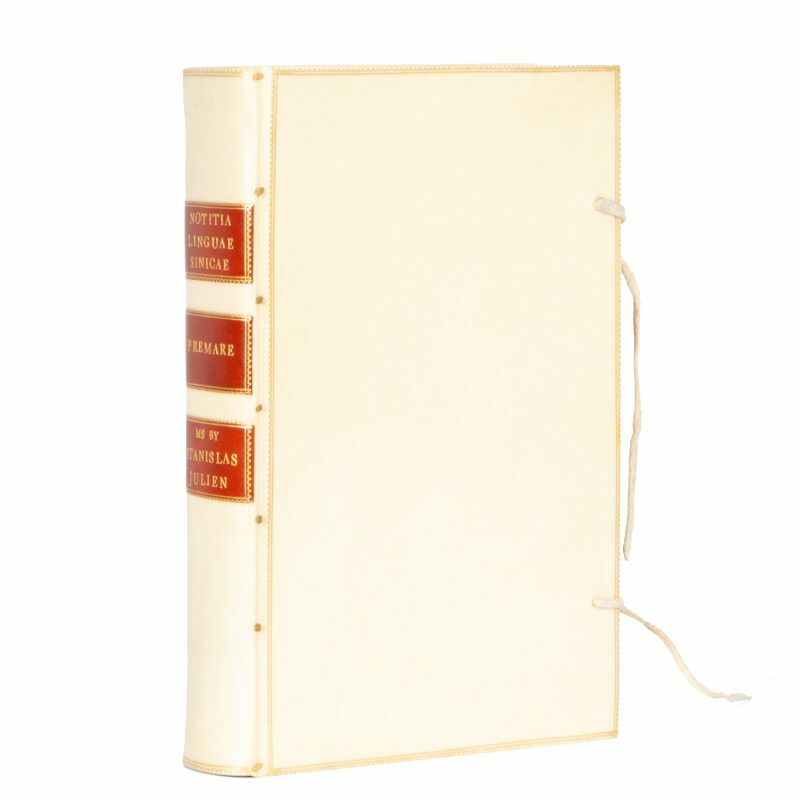 Cordier, Sinica, 1666 (for the second ms. copy made by Julien) but also 1664-1669 for detailed notes on the various manuscript versions and editions of the Notitia linguae sinicae, Malacca : Cura Academia Anglo-Sinensis, 1831. The French Jesuit Father Joseph Prémare (1666-1736) worked as a missionary in Guangxi from 1699 until 1724, and subsequently, after banishment by the Yongzheng Emperor, in Macau, where he remained until his death. 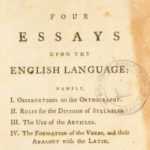 His Notitia linguae sinicae, completed in 1729, would surely have been a landmark work on the Chinese language in the West in the eighteenth century, yet it was not published until almost a hundred years after his death. 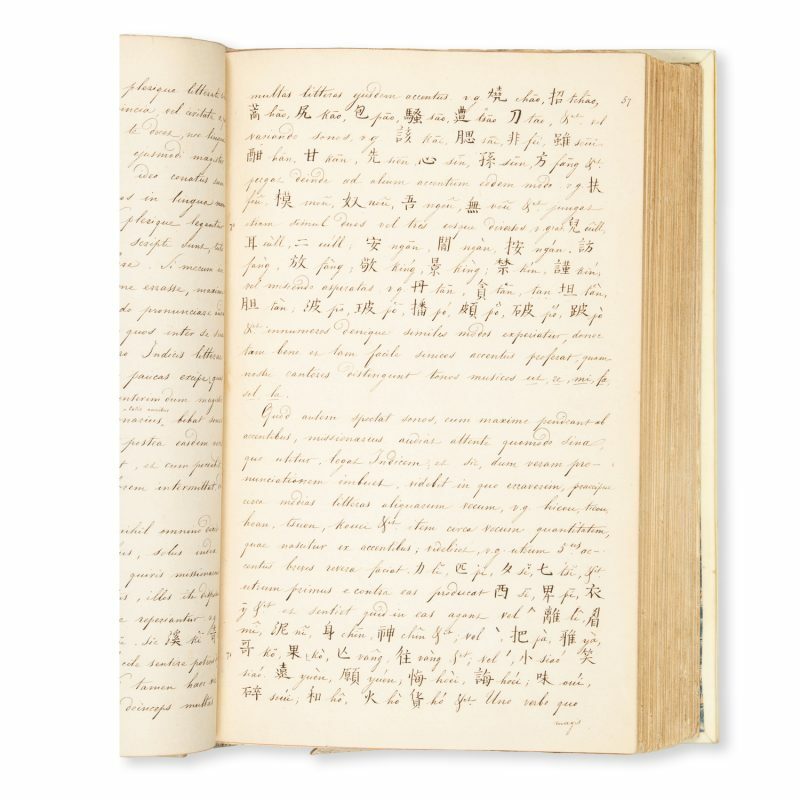 Stanilas Julien (1797-1873) was a student of the great sinologist Jean-Pierre Abel-Rémusat, and took over from him as Chair of Chinese at the Collège de France after the latter’s death in 1832, a position he held for over 40 years. Having mastered Greek, Arabic, Hebrew, Persian, and Sanskrit early in his academic career, Julien commenced his studies in Chinese and Manchu in 1823 after first meeting Rémusat. 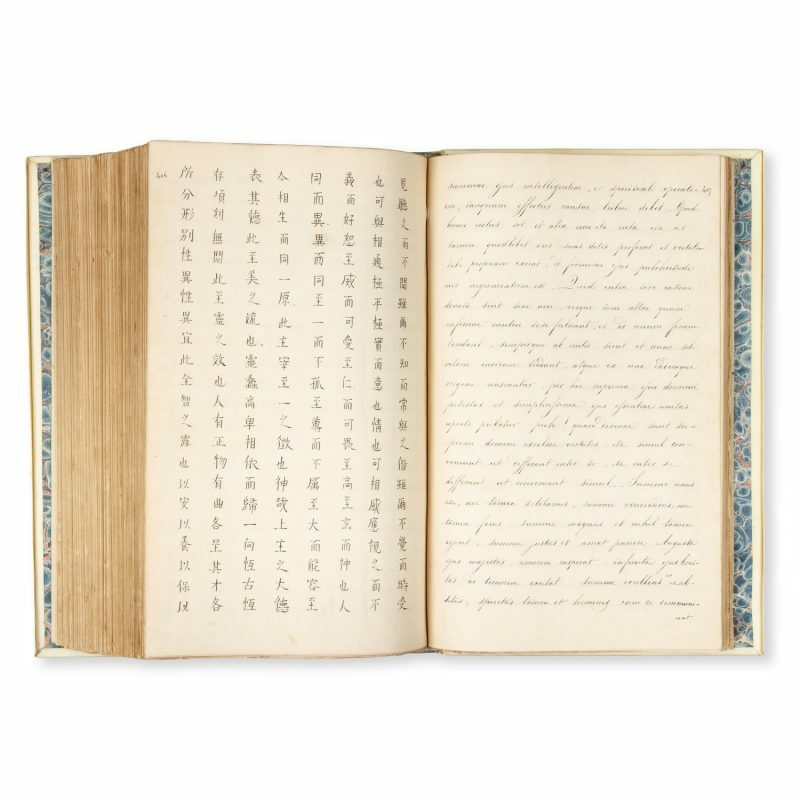 Between 1824 and 1829 Julien completed a monumental Latin translation of the writings of the philosopher Mencius, working from eight different Chinese editions and two Manchu editions. 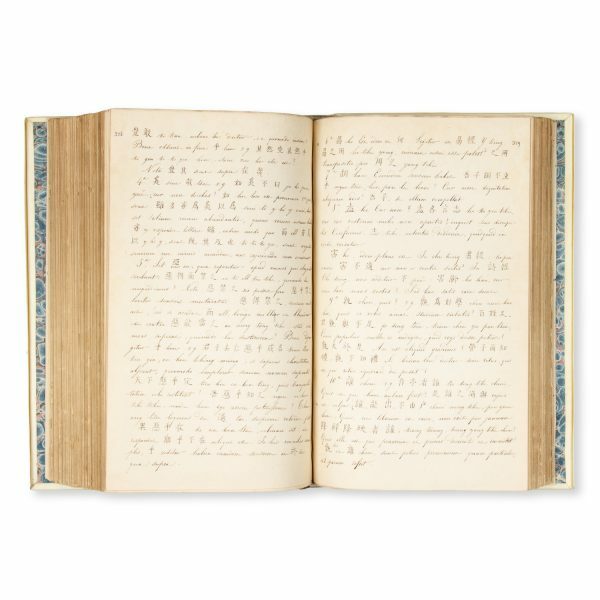 During the 1830s he worked on translations of Chinese vernacular and Taoist works, and was commissioned by the minister for agriculture to compile, from Chinese sources, a guide to the cultivation of silkworms (1837). In 1839 he was appointed joint keeper of the Bibliothèque Royale, where he also acted as the specialist superintendent of Chinese books. After publishing two works on Chinese linguistics, Discussions grammaticales (1841) and Exercices pratiques … (1842), Julien’s interest in Buddhist studies led to the next phase of his writing and research in the fields of comparative literature and linguistics, which focussed on Indian influences on Chinese Buddhism and Sanskrit elements within Chinese religious texts. His last major undertaking was Syntaxe nouvelle de la langue Chinoise (1869), which became the standard Chinese grammar of its time. 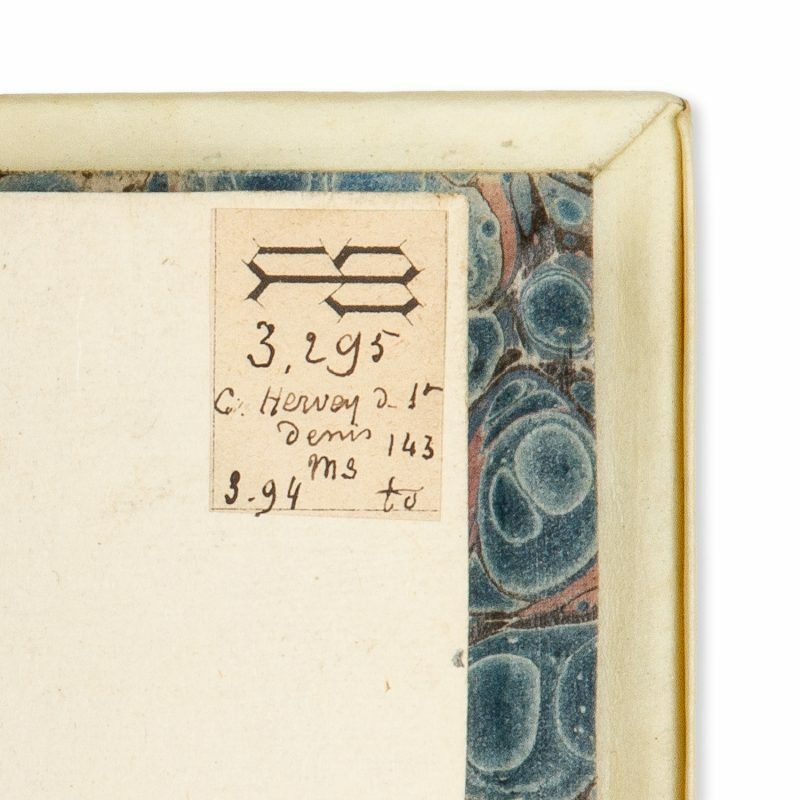 Provenance: Marquis d’Hervey de Saint-Denys; Han-Shan Tang Ltd., London; private collection, Australia.